During my duration as a woodworker hobbyist I have made a lot of projects along the way, I actually think the count is over +120 or so and although I enjoyed making all of them , a few I really are fond, proud or even surprised that I could actually make. Either because of the difficulty it took to make it, a sentimental reason. 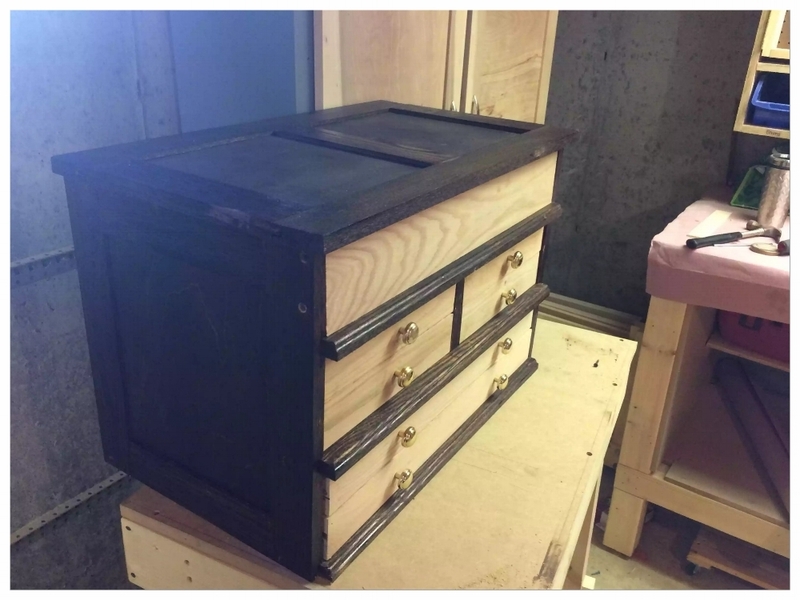 Most of the time its because it was the first time in trying something new, whether it be a project I never made before, a new skill that I was trying out such as dovetails or because I made it for someone in particular and they were as happy as me. These projects are what keep me doing what I do and sometimes mark a milestone in my journey as a woodworker. So I hope you enjoy the compilation I have put together. Since we decided to renovate one of the rooms in my house to a home office, we have been planning and researching the look of the room so we decided to do a minimalist look and my wife needed a table that was flush with the window sills in the room so as that we could put plants and a few decorative things such as pictures and ornaments on it. Although I made this project for the home office this console table could be put in almost any room and the dimensions could also be altered to make it wider, deeper or higher. 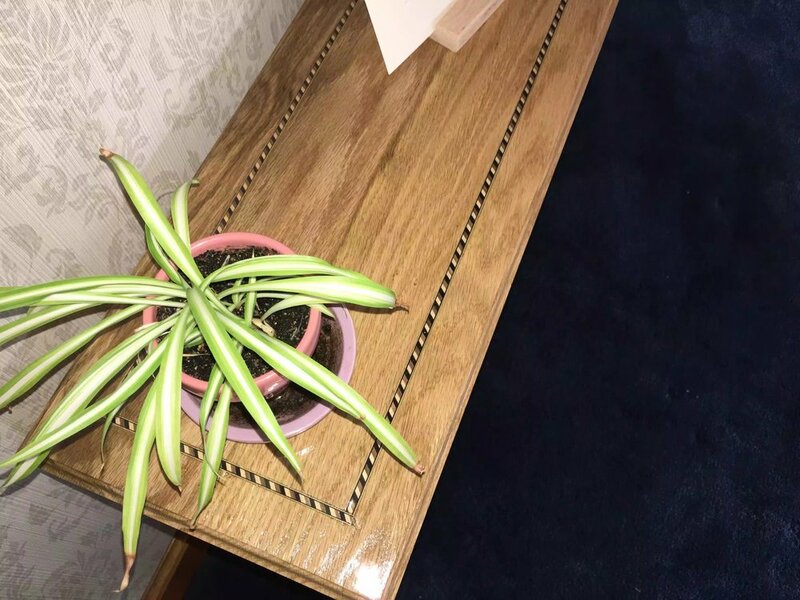 So off I went doing some research and came across this console table with tapered legs and thought the design of this table would look awesome in the room. So I built a 3D model on my Sketchup software program to get a realistic view of the unit. Thanks for reading and I hope you enjoyed this content as much I liked writing it. The reasons this was one of my favorite projects was because I did a lot of firsts in this project , I made tapered legs for the first time, I also did a good amount of inlay work that I was proud off. All I needed to make this was a piece of 2x4. Yet another !! !Half Lap Joint. I have to give credit to Wood Working Mere Mortals as his site was the inspiration behind this project. 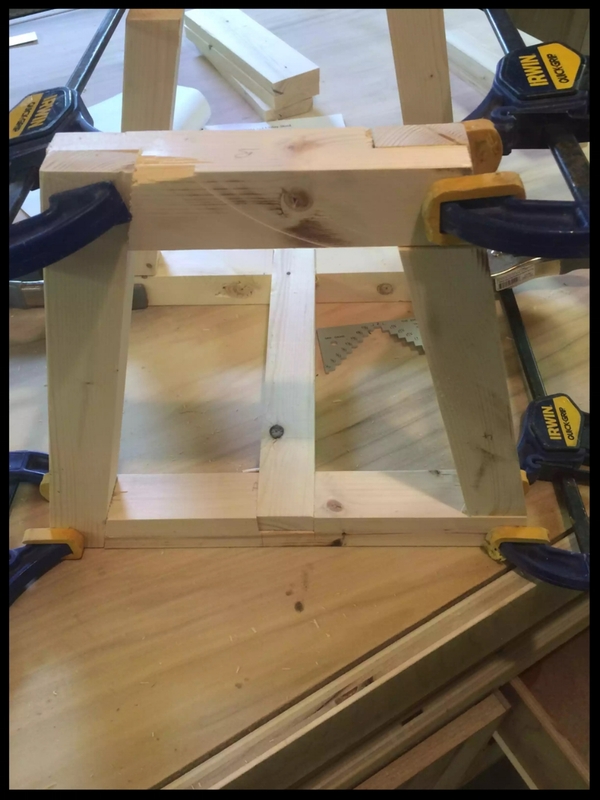 It’s basically a stool made from 1 piece of 2×4 with a series of lap joints and glue keeping it together. This might be one of the cheapest projects I’ve made $2.49 but it was not without its challenges.. 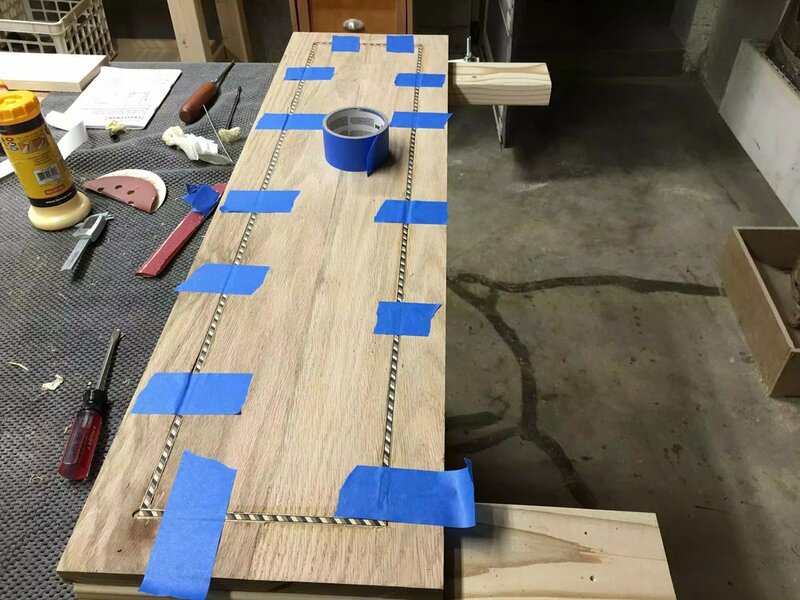 I liked this project because it was a major challenge because of the number of half-lap joints that I had to do, it was really cheap but a HUGE learning experience. This is a side view of the completed toolbox. 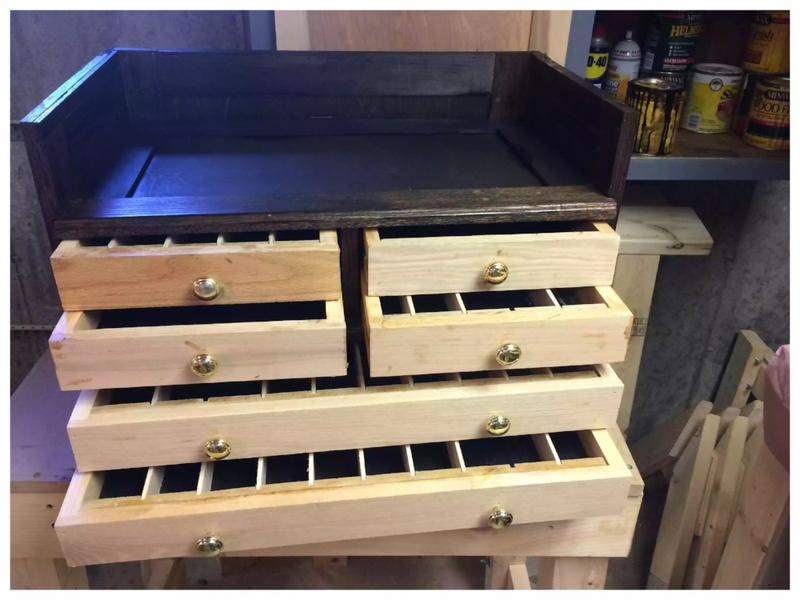 This project was one of my favorites because it definitely was one of my most challenging projects, mainly because there was so many projects within this main project, making frame and panel carcass, making drawers and not using drawer slides. So I had been doing a lot of relief carving lately nothing that I can really showcase here yet, but I have amassed a few chisels and accessories and don’t really have a good place to store them so as that they don’t get rusty so after searching online I came up with his design. Basic construction is frame and panel using oak, pine and plywood. *Dimensions is 24” wide x 15” deep x 18” High. After the case was built I stained it mahogany and waxed it. I do like how it came out and I made this about a year ago and I already want to make a different one because, the drawers are not smooth in opening and closing and I don't like the stain job because of all the glue stains, its made from oak and plywood.. the next one I make will be more solid and not using plywood for the case construction. A simple step, and I wish I used a different material other than MDF (Medium Density Fiberboard) not very durable. I used full extension drawer slides, so happy I did this. I added a very quick storage solution for all my drill bits in a later project. Here you can see how the cabinet was put together, using pocket hole screws. This pic also shows how the top was attached later, by screwing up into the plywood strips into the MDF. This project was one of my favorites because it was definitely the biggest project I had ever undertaking in my woodworking thus far. I learned a lot about how cabinets are made and also about all the different types of drawer construction, I spent as much time designing this project on Sketch-Up as building it. Since I built it I have moved it to another section of the shop. Another reason I love this project is because I cut a full 8' feet piece of wood and its supported all the way. 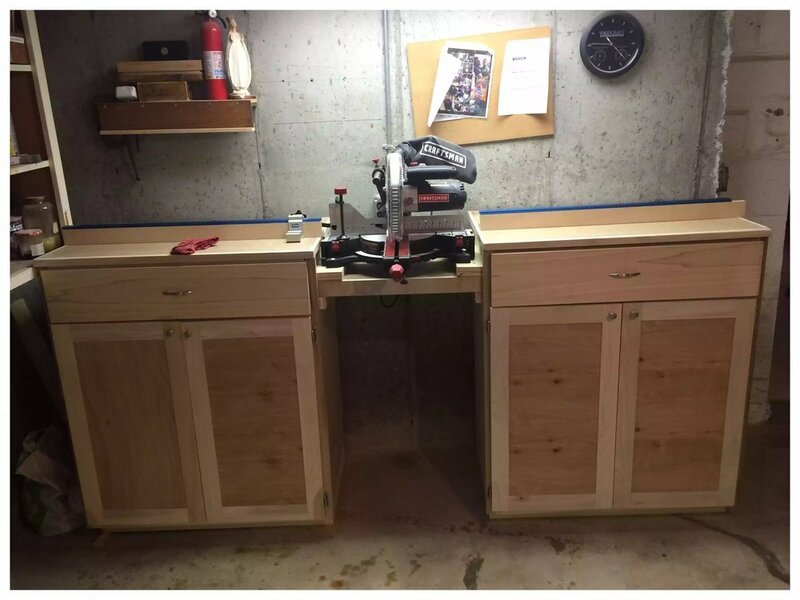 Would I change anything about it, definitely after using it for about 2 years I would of put more drawers in the unit and probably put a bank of smaller drawers on the top work surface since I don't really use he cabinet space as much as I used to since I made new homes for the drill press and bandsaw. If you are interested in the build I created a blog below that will re-direct you to my online workshop that you can see all the steps. Zig Zag Shelf all completed!!! I made this in 2015 and its still gathering dust today. I am not a master at applying finishes but this project actually came out great. You can also see the pock holes which was the joinery method that I used. This is a favorite because it was the first project I made for my sons room, it also was the first time that I used the Kreg Pocket Hole jig. A lot of woodworkers have mixed reviews on this tool but to be honest I like using it in different applications because its fast and easy and hey you cant use dovetail's all the time. I love how different it looks and all I used was some 1x12 boards it came out awesome and is still gathering dust today. Awesome to have on them sunny days out on the deck having a couple of beers. Yes I am still applying poly!!! This project was one of my favorites obviously because its a beer cooler and I'm Irish, this was an interesting build and its still in good shape as its going strong since I made it in 2015. I saved a lot ot money building this for myself nad it turned out awesome, it beats having one of them big metal cabinets. 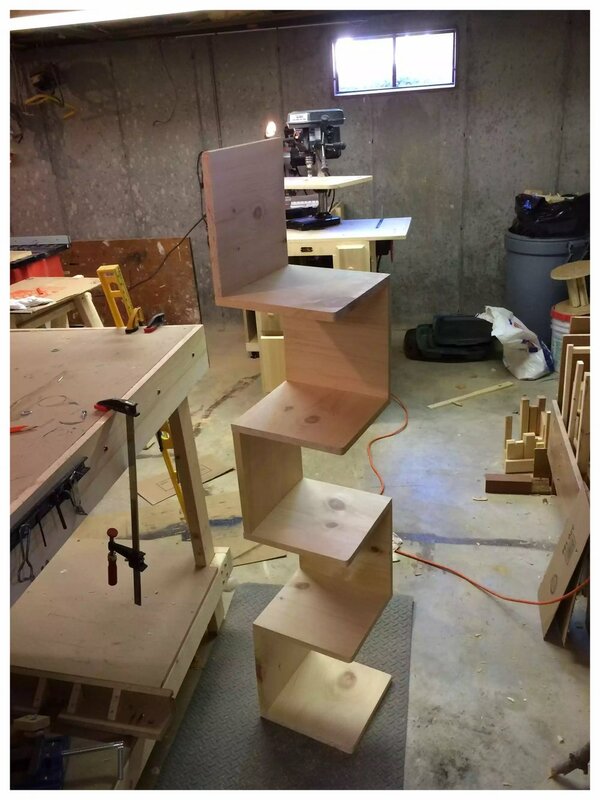 Obviously beats having a woodshop with a metal cabinet in it. Love how frame and panel looks on so many different projects... I also love making shaking style furniture which is who developed this. 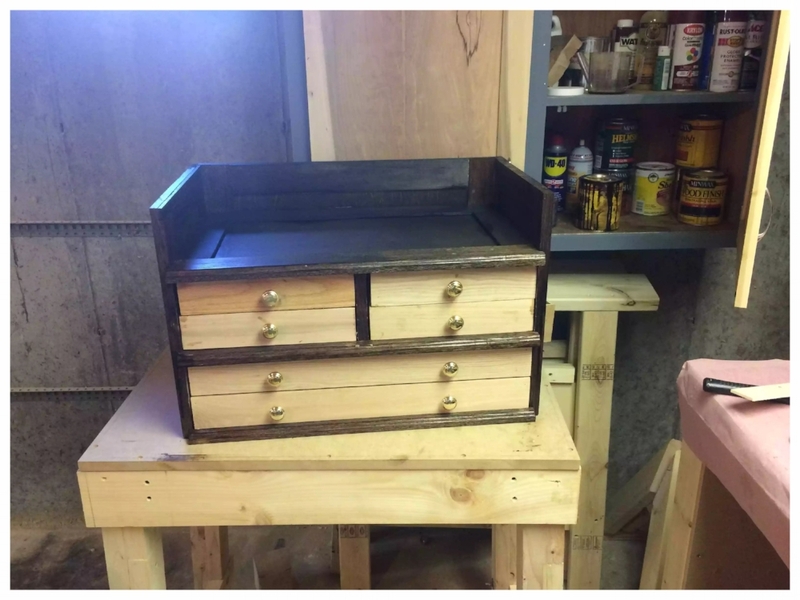 This project was one of my favorites This project has been long over due and I was tired of tripping over my files and Sketch-up plans so I decided to make myself this filing cabinet. I thought that I would save myself some money and just use 3/4’ sheet goods and stain it, I also had a few first's in this project such as I never used iron on veneer before and it came out ok.. I think its a skill you get better at the more you use it… Also another tip don't buy it at Home Depot. Looks great and although I didn't do the paint job it came out awesome. All that's left to do is paint, I love how the wine rack came out and it can also be removed. This was a project all on its own, but love how it came out. This was tricky installing the drawers because the cavity didn't have a divider wall, I needed to secure the drawers with a drawer slide extension. They needed it to be 36" wide, I widened it another 12" but so as to not to take up more room I installed a pain of drop leaf brackets. Plenty of storage (there are 2 very deep drawers, and a big cabinet space below the middle shelf. Overall the project was a great success and the customer was extremely happy. I also made a few YouTube video's on this build, its by no means a professional presentation, actually this attached video was a communication I had with the customer, it wasn't designed for public consumption but I attached it all the same. This was the first time I used inlays, I cut 3/4" wide oak and recessed it into the door. The amount of storage this little cabinet has is impressive. This was a project within a project, this took as long to make as the cabinet did but I am so glad I did it, Ill never fill this drawer. Well I hope not!!! Oak inlay on the front , solid oak drawer fronts. I love how it came out and not only is it a very practical build it looks great as well. I also used some Kreg products on my upgrade including the Router table & fence. If you use the router as much as I do these extra exspenses are owrth it. I love my new router cabinet because of the following reasons, its made of oak and plywood and not only did I make it aesthetically nice looking I bought some first class accessories for which include the Kreg Router table top and precision jig. Overall its a fantastic addition to my workshop and love every time I get to use it. 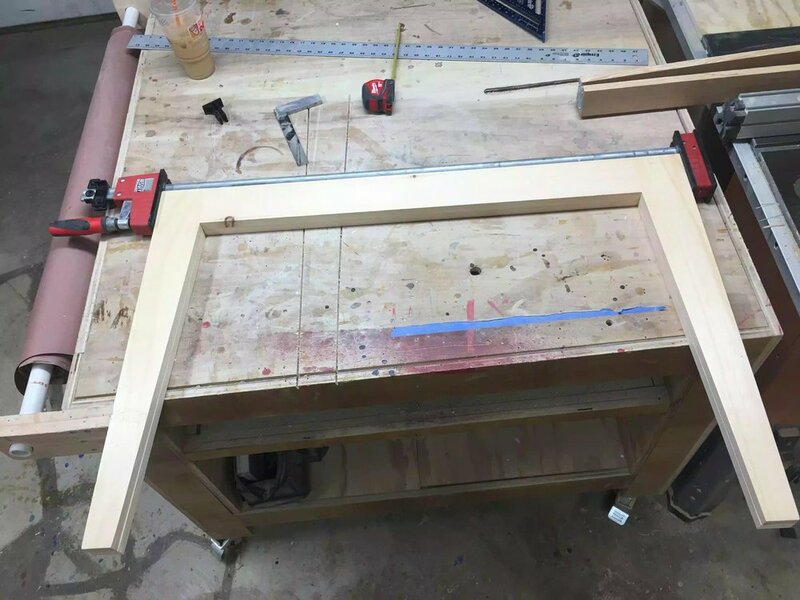 I am putting this project on my favorit list because I love when I upgrade tools I use and especially when I get to use quality tools like the router tabletop and fence I purchased from Kreg. When project like this are being made I usually create a blog on it, so as that I can share the build and what I came across in terms of difficulties or a change in how I was building I, sometimes what you have on a paper plan doesn't quite work out on the actual project, so I have included a link below to my Online Workshop. Well here it is in its new home in my living room, got to say this is easily the nicest thing I have made, thus far. I spent a great deal of time applying finish to this project and this picture highlights how good it looks. You can see the through tenons on this project , which looks awesome. I dimensioned this project to a tee it fits perfectly beside the lounger. Love the breadboard ends on the table top, definitely a challenge in this build, but worth it. Here you can see the sides assemblies complete, all I needed to add was the aprons. I have never made a through mortise before, this is how I accomplished it using my drill press and later squaring the walls with a chisel. I am beginning the staining phase on the project, this top tooks 4 coats of poly stain, and an additional 2 coats of poly acrylic. I really needed to protect the top from all the cups that were going to be placed on this. I made this drawer using 2 joints, a half-blind dovetail using a Porter cable jig. This was extremely challenging but I used a lot of scrap to practice the joint before completing it on the poplar and oak. I t came ok, but definitely a case of practice makes perfect. There are a lot of reasons why I had to include this project. The through mortise & tenon was a first as well, very challenging joint but I can add this joint to all my repertoire , still need to perfect them. Solid panel assembly from difffernt pieces, needed to perfect my glue-up process when doing this. Please feel free to comment here on any of the projects you see here, I love hearing feedback after all that is how we improve. Thanks for looking at the page and I hope you got something out of it. I will be periodically adding projects to this page.